Whatever the style or the size of your home, there is a conservatory that will fit both your property and your budget. There are a number of conservatory styles that are guaranteed only to improve your home’s aesthetics, both internally and externally. You will find that with a beautifully crafted, and well-fitted conservatory, it will become one of the most used rooms in your home and can be used all year round. There are a number of stunning designs that will only enhance your home’s exterior and provide you with an increase in useful floor space. 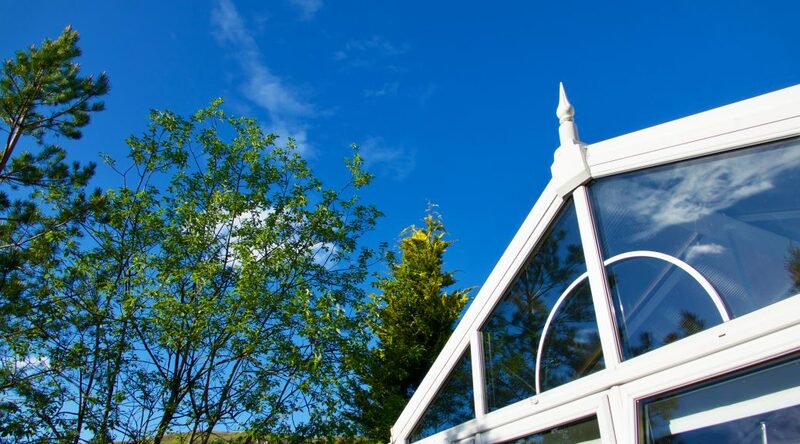 The most commonly installed conservatories are the Victorian, Edwardian, Gable and Lean-to. This guide will take you through all of the features of each conservatory and the ways to best utilise them. Inspired by Gothic architecture, the Victorian conservatory incorporates a profusion of elaborate detail, allowing for a wide selection of decorative features. This style of conservatory traditionally best complements period style properties. However, they can be a stunning addition to a more contemporary or modern home. The steeply pitched roof and ornamental detailing on the centre line makes sure to enhance the aesthetics of any style property. The bay-curved front feature will also give you panoramic views of your garden. The addition of decorative glass will ensure for a touch of the Victorian era but may prevent the maximum amount of light entering in. The versatility of the roof means that you can alter the span and pitch. The ability to choose the size, shape and configuration means that you can fully design it to meet your requirements and fit your home and garden. Victorian conservatories are also capable of achieving outstanding levels of thermal insulation. The high-quality double glazing will ensure that it traps in the warmth during the winter and keeps you cool in the summer. The Edwardian conservatory is very similar to the Victorian style. The only difference being the rectangular or square base of the Edwardian design. However, the rigid apex roof style gives the conservatory the feel of a Victorian style, but with more available space. The more significant available space means that this style of conservatory is ideal for smaller homes or those just looking to provide their home with more utilisable space. The three-sided roof allows for maximum light entry and headroom. Like, the Victorian style conservatory, the Edwardian roof is also finished with ornate detailing and elegant girders. The Edwardian conservatories are built with providing more floor space in mind, while the Victorian style is more for those who appreciate the look of the way window style. Because of the traditional design of the Edwardian Conservatory, it both blends in with and enhances most modern, contemporary or period properties. The additional floor space is commonly used for converting conservatories into dining rooms, living rooms, gyms, children’s playrooms and offices. The addition of extra floor space will also help to increase both your home’s value and saleability. This modern style of conservatory is often the least expensive. It is the ideal design if your property is a bungalow or if you have little space in your garden for further extension. The single pitch and sloping roof means that it is much lower than an Edwardian or Victorian conservatory. This style also means that it will fit ideally underneath low eaves and allows the rain to run off. With the Lean-to Conservatory, you have the ability to install sliding, French or bi-folding doors that open out onto a patio. The installation of sliding or bi-folding doors will substantially increase the amount of light that enters the room. Like the Edwardian style, the Lean-to conservatory has a rectangular floor plan that allows for a generous amount of utilisable space. The simple design of the Lean-to conservatory means that it is a popular chose for those who prefer a contemporary classic-looking sunroom. It can be designed to suit a modern or a more traditional property. The main feature of the Gable conservatory is the design of the high vaulted roof and unique triangle shape at the front. Because of the Gable conservatory’s stylish front elevations, this style is perfect for a period property but can be adapted to most sorts of buildings, such as bungalows. The elevated front means that they are best suited to homes with high ceilings. The symmetrical design and the verticle roof provides you with a significant amount of room and light. The gable-end conservatory ensures that none of your interior floor space is wasted. It is an adaptable design that can be made to suit your home with the choice of a variety of decorative finishes. You can also choose to have the sunburst effect, which is where the front gives the appearance of the sun rising. Where the installation is done in conjunction with a single-story property, there are available two options. The first option, which is the more elegant of the two, is to create a dormer in the house roof to connect with the pitch of the conservatory roof. This, however, is the more expensive option. The alternative option is to use a sloping back pitch which will then share the drainage with the house roof into a box gutter system. You must also remember that before deciding the style of conservatory you want, you should consider the purpose of the conservatory installation. Whether you are aiming to add value to your property or purely just increase your space, different conservatory styles have different uses. Decide how you want your conservatory to look from the outside and how it will be used in your home as well as your budget. It is also essential to spend some time researching into the most suitable company to hire for the job. Overall, there are several alternative conservatory styles that are guaranteed to suit any style of home, whether it be a modern or traditional property. You will know which conservatory design will best suit and enhance your home’s natural features and characteristics. Here at Crown Windows, we supply all of these styles of conservatories in Banbury and the surrounding areas.